Great company (Strings By Mail). My orders have never been large ones, but they always treat me great and help me when so am bending out about flat wound strings (Pyramid) and ‘which classical strings best - for people who can’t play ‘classical’ (me), and things like that. Prices good, service prompt and follow up service sincere. Very satisfied. Expressive, clear trebles and warm, rich basses. What more could I ask for? 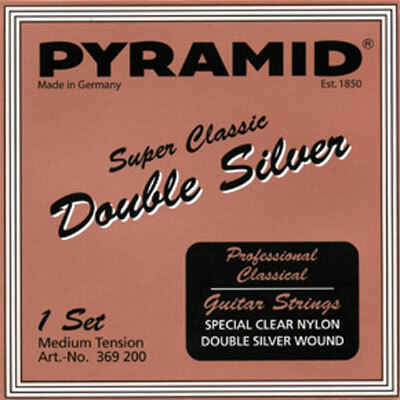 Pyramid double silver strings are the best strings if tried so far. I just put them on today, beautiful strings, nicest trebles of any strings so far, good vibrato, brilliant tone, ant the feel is just superb. Basses feel pretty warm on the first day, we'll see how they develop. Hope they last, considering high prize.